The paint companies have provided extensive choices for beiges, grays, and “greiges”, so how do you ever narrow it down to the ones you want in your own home? In order to find the perfect interior neutral for your space, it first helps to understand why there are so many choices for “neutral” colors. Creating beiges and grays comes from mixing other colors together. Knowing that, the best place to start is by looking at the COLORS in your space. 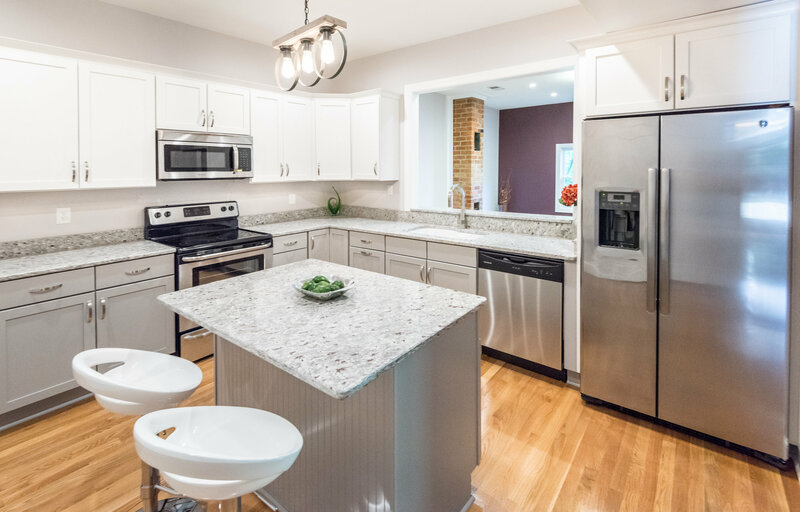 A house is not just a blank white canvas – even if you haven’t picked out your throw pillows or bedspread yet, you already have floors, and interior details like brick fireplaces and tile work. If you’re doing a total rehab, wait and pick your interior neutrals until after you’ve chosen the tile and flooring. So let’s break it down by color, and I’ll give you some suggestions based on Sherwin Williams® colors – although following these principles, you can use whatever paint and paint company you want. 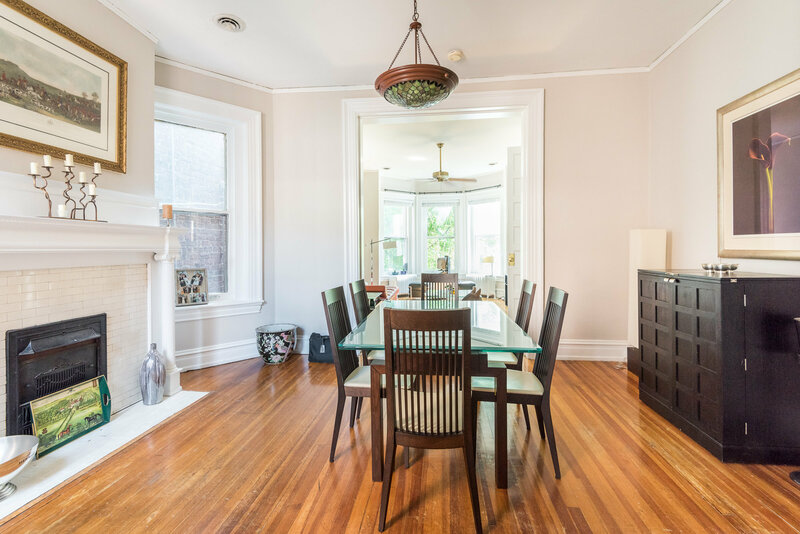 If your space has a lot of browns, reds and oranges (think red brick, cherry cabinets, oak floors, dark wood paneling), stick with neutrals with red undertones to stay consistent. My choices for this kind of space would be SW6085 Simplify Beige, SW6043 Unfussy Beige, or SW6071 Popular Gray. For example, we used SW6071 Popular Gray in this space, and it works really well with the hardwood floors and creamy white fireplace tile. If yellow is your color of choice for details, you want a neutral that plays nice. Yellow is an invigorating color; so choosing a neutral to balance it out can be a challenge. Here’s the trick: If you want to enhance and compliment small yellow details (throw pillows, or an accent yellow in drapes), use a neutral with yellow undertones like SW6148 Wool Skein or SW9109 Natural Linen. Sometimes pine floors are a bit more yellow, and these neutrals will work well in those rooms. For greens, stick with soft neutral blends like SW7029 Agreeable Gray, and SW6072 Versatile Gray. 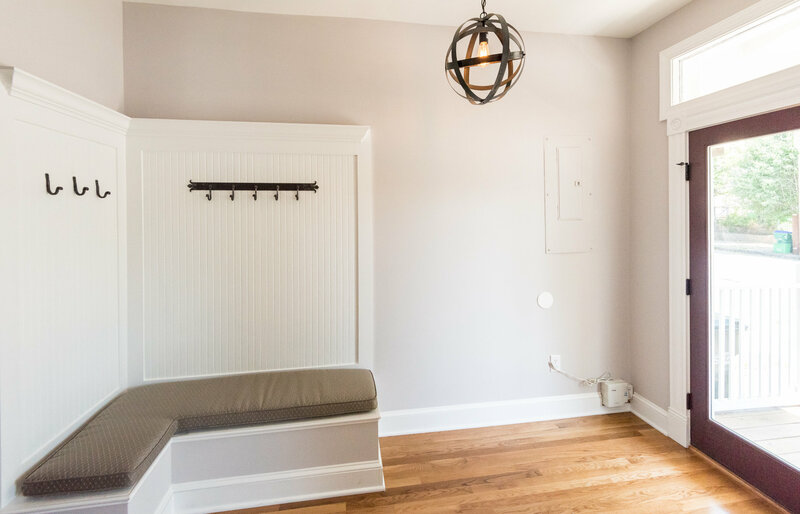 You could also try SW6197 Aloof Gray, which has a hint of green, but before you paint the whole room that color do some test swatching on the walls as the hints of green change a lot in different light, and can really end up looking more green than neutral. If you tend to accent more with shades of blue, choose a neutral like SW9166 Drift of Mist or SW7015 Repose Gray. 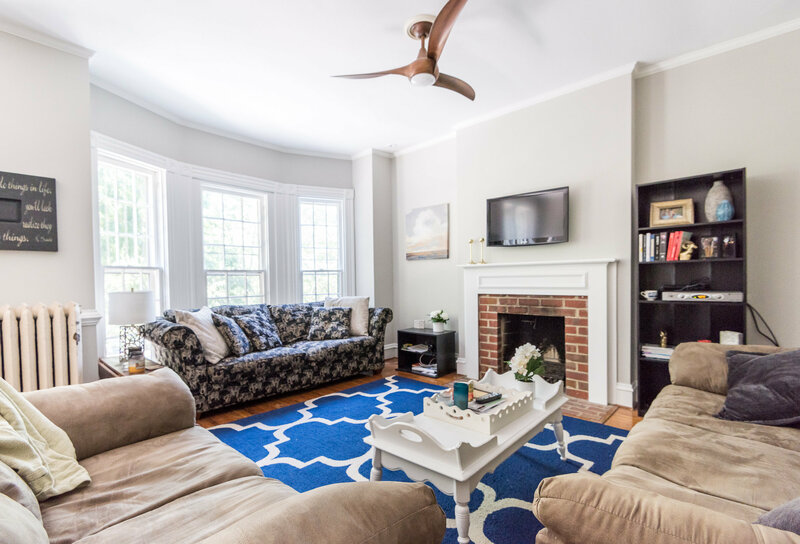 We used the SW7015 Repose Gray in this space, and it pairs very well with the blues in the rug, and also brightens the red brick fireplace. For spaces that already have a lot of neutrals in the decorating (gray or white vanities, tan sofas, dark floors) you can use a neutral with purple undertones to add a very subtle color to your space to create a soothing balance and help keep all things from getting too neutral (or drab). I know some of you are thinking “ew, purple”, but take a look at SW6260 Unique Gray and SW6001 Grayish. You don’t necessarily think of these neutrals as purple, but the soothing nature of the purple undertones can really warm a space that is otherwise filled with grays and tans. We used SW6001 Grayish in this space to help balance the white of the foyer and kitchen, and the bold door (which is SW7580 Carnelian). It created the harmony and balance, and you’d never think of it as a “purple”. And if you have questions, or want a color consult, email me at Nicole@piperbearproperties.com – I am always happy to talk color palettes.